We all know about DNA, right? You get one set of chromosomes from your mother and one set from your father. Ultimately, this provides you with your own unique DNA, a molecular blueprint for your existence. 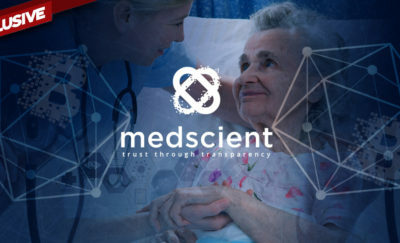 Unless some chemical causes damage-in your DNA, or you are being considered for gene therapy, DNA alterations don’t occur. Or does it? As Dr. Andrea Baccarelli explains, that is not the case. In part 1 of this 2, part article Bold Business discusses the field of epigenetics, and how scientists are discovering that DNA alterations can, and do occur often. The way you live has a significant impact on which DNA genes are expressed and which ones aren’t. Moreover, as noted by Dr. Andrea Baccarelli, the lifestyle you choose might affect more than just your own DNA. In part 2, we will report on the new testing Dr. Baccarelli is creating and how it can help you live a longer life. In considering how your lifestyle might affect your DNA, you first need to appreciate the field of epigenetics. Epigenetics is the study of how changes to your entire genome can affect your life without ever causing actual intrinsic DNA alterations. In other words, changes may occur outside your DNA structure while individual genes or DNA segments remain unaffected. These epigenetic changes can affect whether specific genes are expressed or not. And this, in turn, can play a role in whether you might be at greater risk for specific diseases. 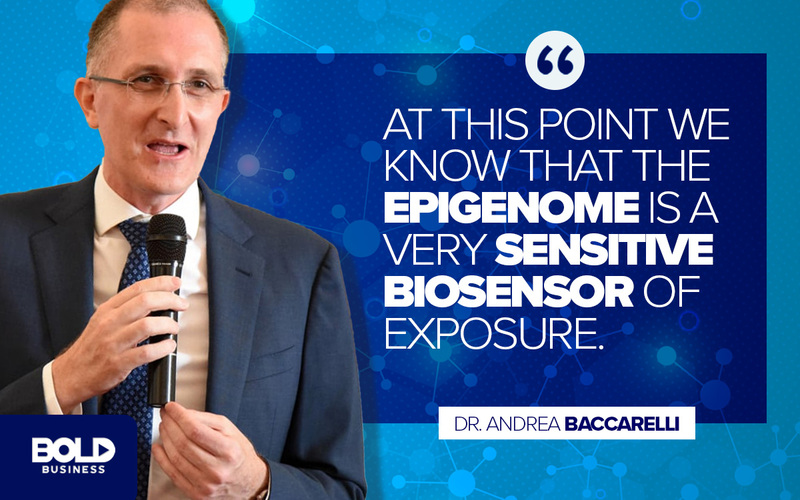 Dr. Andrea Baccarelli has been studying epigenetics since 2003. His lifelong pursuit has been to evaluate the effects of lifestyle choices and the environment on our DNA. 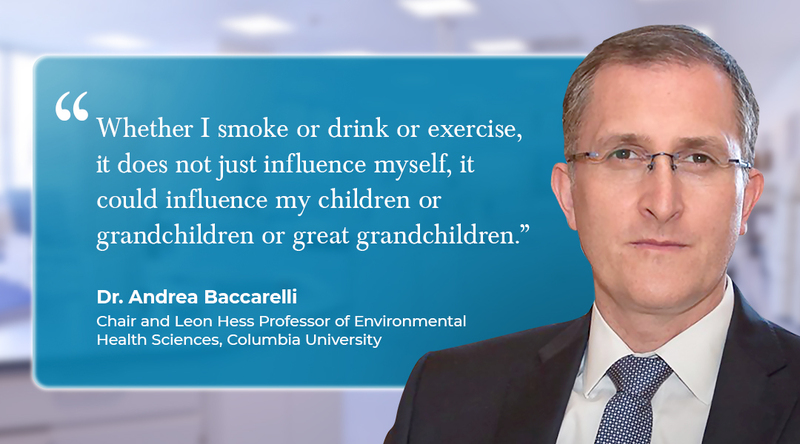 Interestingly, his discoveries and theories have greatly advanced our understanding of the link between lifestyle and disease.. Dr. Andrea Baccarelli’s work clearly shows that lifestyle choices and DNA alterations are linked. From diet, to exercise, to stress, DNA alterations occur based on the choices we make. When it comes to epigenetics, a number of lifestyle factors can result in DNA alterations. For example, certain foods are known to cause oxidative stress, like polyunsaturated fats. Other foods like vegetables, however, are associated with good health and reduced disease risk. As Dr. Andrea Baccarelli explains, these choices can trigger chemical reactions in the body that cause DNA alterations. Some change where methyl groups are attached to DNA molecules. Others affect whether histone groups on DNA structures receive acetyl groups. These effects then determine whether a DNA gene is expressed or repressed. And that can determine the risk to a number of health conditions, good and bad. Among the various lifestyle factors, tobacco smoking appears to be one of the most significant epigenetically. Even second-hand smoke and maternal smoking during pregnancy have profound effects on DNA alterations. Other lifestyle factors that affect DNA alterations include physical activity, diet, alcohol use, and stress. Moreover, important discoveries regarding risks for obesity are being revealed through epigenetic studies. Parental dietary choices and early childhood diets may result in epigenetic DNA alterations that heighten lifelong risks for being overweight. Today, many of us are focused on preserving resources and adopting sustainable life practices. 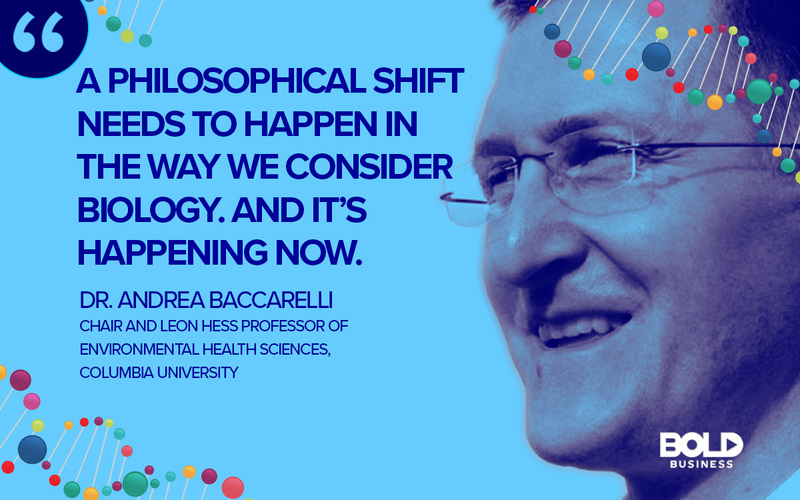 But as Dr. Andrea Baccarelli describes, this same mentality should also be applied to our epigenetics. While many of the DNA alterations resulting from lifestyle choices are not inherited by future generations, some appear to be. Specifically, Dr. Andrea Baccarelli cites research that shows epigenetic “tags” in parents being expressed in their children’s and grandchildren’s DNA. These epigenetic changes are passed on due to DNA alterations on sperm and other reproductive germ cells. Thus, how we choose to live today likely has an impact on the health risks future generations will have. Many insights still need to be attained regarding epigenetics and DNA alterations as well as their relationship to health. But this area of research is highly fascinating, and it highlights the importance of lifestyle choices. Epigenetics has the potential to explain dramatic rises in diseases like obesity and autism. And it may even reveal secrets of aging that could improve longevity and wellness. With bold leaders like Dr. Andrea Baccarelli involved, new opportunities for individual and public health advancements may soon be realized. Future Food, Grown in a Lab Near You?